Stu earned a Chemical and Petroleum Refining Engineering (CPR) degree at Mines in 1966. While at Mines, he lettered in soccer, played three years of football, and was a member of Beta Theta Pi. Stu went on to receive a master’s degree in chemical engineering at Oklahoma State in 1968. After a few years in the industry, he attended dental school at the University of Oklahoma, graduating with his doctorate of dental surgery in 1977. He practiced general and cosmetic dentistry before retiring at the end of 2015. Stu attends and participates in numerous alumni association sponsored seminars and actively supports Mines at athletic events. He is also a member of the President’s Council and the Mines magazine editorial board. 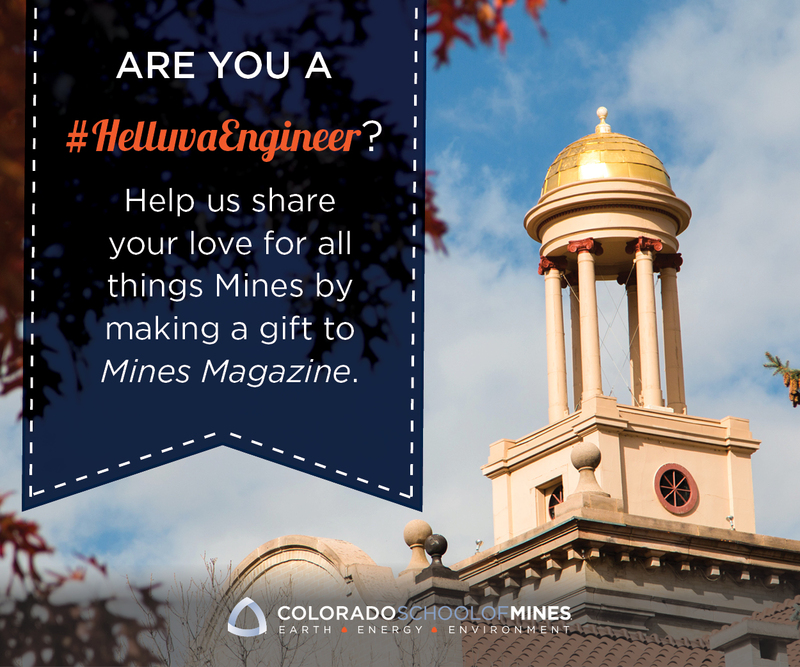 Mitch, a native of Colorado Springs, graduated from Mines in 1985 with a bachelor’s degree in mechanical engineering and a minor in material science. During his four years at Mines, he played baseball, was a member and officer of Kappa Sigma, and was president of the student chapter of the American Society of Mechanical Engineers (ASME). After graduating from Mines, he spent 11 years in the oil and gas business working with Halliburton. Mitch later earned an MBA in technology management from the University of Houston. Currently, he works as the software product manager for Zetec in the Seattle area. Mitch has been the alumni association’s Seattle section coordinator for the past eight years. Aprill earned her bachelor’s degree in petroleum engineering from Mines in 2008. As a student, she was part of the McBride Honors Program and the Multicultural Engineering Program, was active on the Senior Gift Committee, and served as the student trustee to Mines’ Board of Trustees. Aprill serves as a volunteer for the alumni section in the Houston area, is on the President’s Council, and has served on the Young Alumni Committee. She was awarded the Young Philanthropist Award in 2014 for her volunteer and philanthropic commitment. Ray received a bachelor’s degree and a professional engineering degree in geological engineering from Mines and later earned his master’s degree in finance from the University of Tulsa. He started his career building underground storage for all types of materials; projects included the SPR (Strategic Petroleum Reserve), LOOP (Louisiana Offshore Oil Port), and WIP (Nuclear Waste Isolation Project). Most of his career has focused on upstream oil and gas, exploring and developing both conventional and unconventional resources throughout North America. Ray’s outside interests include adventure travel, cycling, and photography, but he is never happier than when he is playing handyman and riding around on his tractor at West Virginia Artist Retreat, which he and his wife opened.